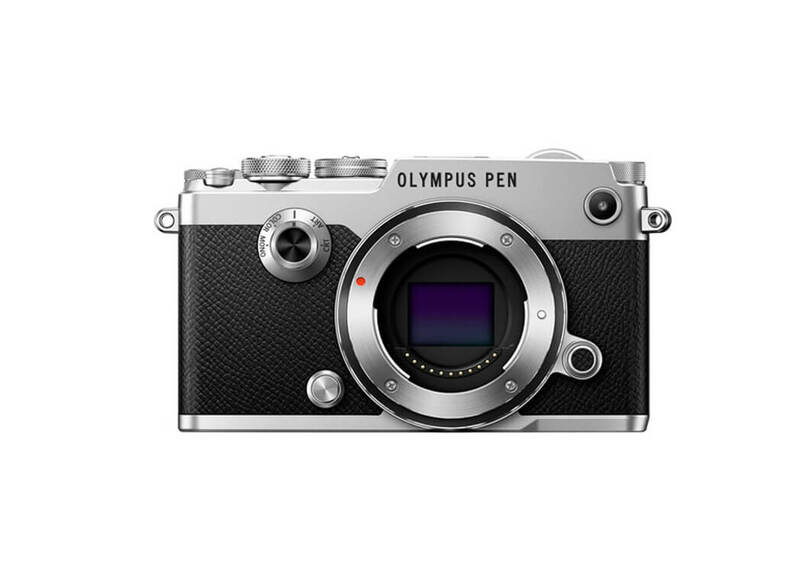 The Olympus PEN-F is a stylish, retro-looking digital camera bearing the same name as the 1963. Olympus PEN F film camera. The original PEN F was a very popular camera back in the day, used primarily by professionals such as photo journalists. 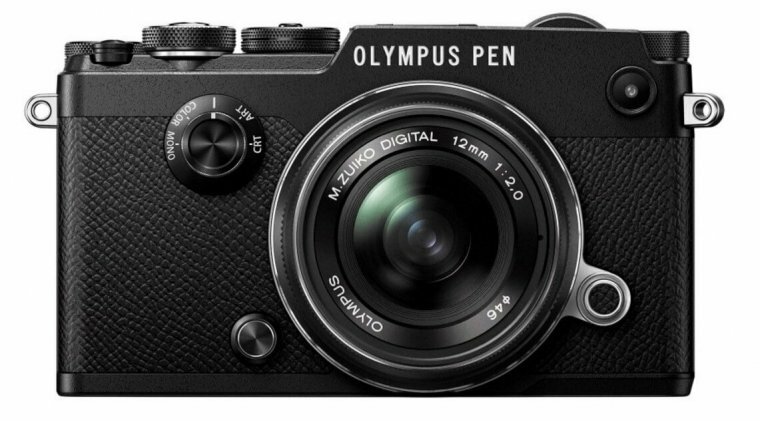 With the new PEN-F, Olympus is looking to provide a high quality modern camera for enthusiasts and professionals who would also like to have a pinch of old-school style to their main shooter. It works best for street photography, be it landscape or portrait, but it should also do a good job as an all-around camera. 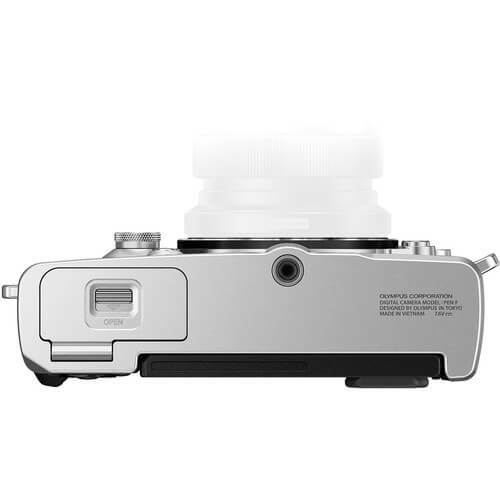 The entire body of the Olympus PEN-F is made of high quality magnesium alloy. Therefore the PEN-F feels like a very robust, durable camera. In combination with a matte metal finish, the whole body shines with quality, giving it that premium feel as well. This camera is not only marketed as a high-end camera, but also a premium product due to a high quality all-metal body build. While it offers an interesting design, it doesn't shy away from impressive specifications either. Olympus PEN-F features a Micro Four Thirds 20MP sensor. This sensor is smaller than the APS-C sensor of mid-range DSLRs, but much larger than sensors used in typical compact cameras. Sony wanted the new PEN-F to be both a capable camera and a portable, compact tool for travel photographers. This why a Micro Four Third sensor in this camera makes sense. It's smaller size (compared to ASP-C) also allows for lenses which are considerably more compact than those of APS-C DSLRs. 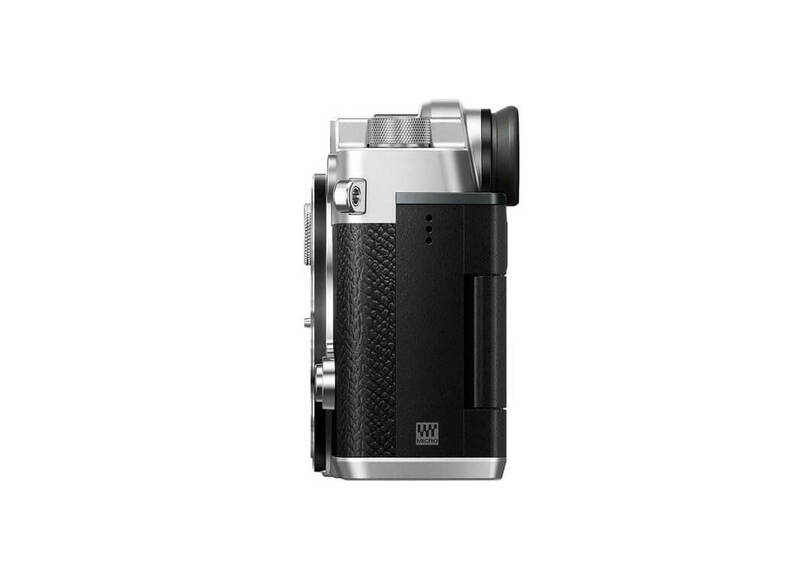 Other notable features coming with the PEN-F include 5-axis In Body image stabilization, 3-inch vari-angle LCD touchscreen, electronic viewfinder (EVF), 10 FPS continuous shooting mode, high resolution mode (up to 50 MP), Wi-Fi as well as a range of new, customizable physical controls. The grip at the front and the whole back are covered with artificial leather with a nice texture, which feels solid but it is also slippery, meaning does not provide a very good grip. It's actual size of 124.8 x 72.1 x 37.3mm does not leave much room for a solid grip either, but given that most lenses for the PEN-F are relatively small, the size shouldn't impose too much on overall balance. Even though the PEN-F is not as pro-oriented as some more expensive Olympus cameras such those in the OM-D line, we did expect to see at least some level of weather-proofing, but alas, Sony decided against it. Again, the Olympus PEN-F is not weather-sealed, so no integrated protection against rain and splashes. PEN-F comes in two colors, silver and black. The new 3-inch LCD touchscreen is a fully-articulating vari-angle screen, meaning you can rotate it however you want (up to 270°). The LCD screen has resolution of 1.037 million dots, works in 4:3 aspect ratio and shows your photos with high contrast and vividness. The touchscreen sensitivity is well balanced and in combination with a responsive interface provides for a fluid experiences when digging through the menus. Other than navigating through the menus, you can use the touchscreen for setting Autofocus on a desired subject. Dragging your finger across the screen moves at focus point accordingly, allowing you to track your moving subjects manually and in real time. On the top left of the rear view, you find an Electronic Viewfinder (EVF), which is a first ever on a PEN camera. You will be happy to hear it too offers impressive specifications. It is very sharp at 2.36 million dots and offers a 100% field of view with 1.23x magnification. The EVF is also useful in a way that shows all shooting adjustments in real time, be it from manual exposure compensation or from using one of the creative filters. It will also show the most important information, such as ISO, shutter speed, and aperture. The PEN-F has a lot of physical controls, most of which are dials located at the top. We believe the pronounced use of dials on this camera is not only a decision regarding functionality, but also adds nicely to the retro style of this camera. Even the On/Off switch, located on the far left side is a simple but effective dial. On the middle we have a standard-looking mode dial which you can find on almost any serious camera, but with the additional of four custom modes. Custom modes (C1, C2, C3 and C4) are easily accessible at any time and allow you to access your frequently used settings instead of going through the menu for each setting every time you want to change something. You can program each of these custom modes to different settings and use them accordingly. There is a primary and a secondary mode control dial, the latter being the smaller dial sitting below the primary control dial. On the far right there is an exposure compensation dial and right above it, a small, red-dotted, dedicated video recording button. Looking at the rear, we have several exciting new additions. 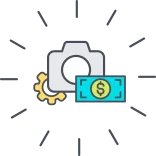 On top of the previously mentioned Custom modes, we have two additional fully customizable function buttons, Fn1 and Fn2, both located at the top rear of the camera. Just below that we have dedicated buttons for image magnification, a MENU, and an INFO button. There is also a standard four-way circular navigation button, with the OK button sitting in the middle. Aside from confirming selections, pressing the OK button whilst outside of menus will present a quick-access vertical options panel for quick access to main settings. Just below the four-way navigation, you will find two more buttons, one for deleting photos and another for direct access to the gallery. Last but not least, on the front of the camera there is the Creative mode dial. Using this dial you add special creative filters to your photos on-the-go, along with other image adjustments We have never seen something like this before simply because most manufacturers pack these kinds of options to the on-screen menus. Sony has opted for a more dedicated approach here which some might call unnecessary, but we have found it to be nice touch and in line with the overall design language of the PEN-F. It is a great way to manually adjust your photos in-camera, although you should note that these adjustments only apply to JPGs and not RAW photos. The Creative dial has four modes to choose from, in addition to the default mode. Regardless of which you mode you set the dial to, you control the in-mode settings using the two horizontal dials on the rear. For example, choosing the ART mode opens a carousel of different creative filters (similar to Instagram filters) which you can shuffle through using the horizontal dial. The default mode allows you to adjust shadows, mid tones, and highlights with great precision, showing an on-screen diagram as well as a live preview as you make adjustments. The CRT mode is a simple one as it allows you to add a transparent color cast to your photos. By moving the left dial you can choose the desired color while moving the right dial you choose the intensity of the chosen color cast. This mode is similar to Photo Filters dialogue in Photoshop. Next, we have the COLOR creative mode, which is similar to CRT mode except for this time you can adjust the overall color saturation as well the saturation of each color individually. This is similar to Hue/Saturation options in Photoshop. Finally, we have the MONO creative mode which all about different shades of Black & White photos. In this mode, you can emulate different film effects and achieve a dramatic look of your photos. MONO stands for monochromatic, which doesn’t necessarily mean gray scale photos. You can add any degree of color tint to your B&W photos. This mode is the equivalent of Black & White in Photoshop. As you can see, the Olympus PEN-F offers massive space for customization and we love every part of it. While all these dials and custom options might seem overwhelming to some, it’s really not that hard to get used to it, thanks to a very intuitive design. Remember, you do not have to go through all these manual adjustments every time you want to get creative. Simply take the time to create some nice effects and then save them to one of the four available custom modes we’ve mentioned earlier. Almost everything about this camera is fast. It turns on quickly, navigation through the menus is fluid and the touchscreen is very responsive. Viewing and zooming in photos is but a breeze, and the same goes for video playback. For a camera who’s main focus is not sports and action photography, it features some impressive frame rates. Using the electronic shutter, which is not always recommended, the Olympus PEN-F can shoot up to 20 FPS with shutter speed up to 1/16000. This is very blazing fast shooting, although using the electronic shutter might introduce unwanted rolling shutter effect. If you choose the more reliable mechanical shutter, the PEN-F can still deliver an impressive 10FPS and a shutter speed of 1/8000. However, there is a limitation where if you want to use AF during continuous shooting you can only go as fast as 5FPS. As with any camera, there is also a buffer limit. If you shoot in RAW format, you can get to about 60 shots, while shooting JPG and RAW at the same the buffer limit drops by a half, down to 30 shots. Autofocus (AF) system in the PEN-F uses contrast-detect AF, which generally accurate and can quickly detect subjects, but it takes a slightly bit longer to actually acquire the focus and take the shot. Overall, it’s not that fastest AF out there but it does a pretty decent job. You can focus by half-pressing the main shutter button or by tapping the touchscreen. It is only in low light that the PEN-F struggles to acquire a good focus, but this is the case with the majority of cameras using contrast-detect AF. Continuous focus on subject, or subject tracking, is the downside of PEN-F’s AF system. When dealing with a fast-moving subject the AF will have a hard time tracking the subject correctly. This is the main reason why this camera is not very good for fast action photography. If you want to do manual focusing, you will be happy to know Sony has included focus peaking, a very welcoming feature which makes it much easier to see exactly to see where is your focus. This is especially useful when using lenses with a shallow depth of field. Another extremely useful feature for manual focusing is the ability to magnify the scene by 14x. Face-detect feature is present as well, and does a very good job at detecting and focusing on subject face. Even when shooting in a continuous shooting mode, it will keep track of subject’s face as it moves around. The Olympus PEN-F packs a 5-axis In-body Image stabilization, otherwise known as IBIS. In Body stabilization uses Sensor Shift technology to stabilize the image sensor, and this in turn means that you will have IS regardless of whether or not the lens you are using are stabilized. Image stabilization is a very important addition to any modern camera, and while lens-based IS is more effective than IBIS more often than not, a well-designed 5-axis IS system comes very close. Olympus is known for their IS system and the PEN-F is no exception. Shooting still with sensor stabilizations can mean a great deal to any photographer. It allows longer shutter speeds, thus allowing more light to come into the sensor, which in turns lowers the ISO levels and noise. In the case of PEN-F, the effectiveness of IS is measured at 4 stops. This means that with a 50mm lens you can use shutters speeds as slow as 1/4s and still get a crisp photo. Without IS, you would need at least 1/50 shutter speed. Image stabilization is used similarly when recording videos, making hand-held recording possible without all the vibrations and wobbling which come from naturally unsteady hands. Battery life in the PEN-F shows mediocre performance. Official specs show 300 shots on one battery charge. With moderate use, you should be able to last through one day. That might fall short if you use Wi-Fi often for remote control or if you spend a lot of time using the touchscreen, such as when playing with image adjustments or just shuffling through the gallery. If you feel this battery performance is not enough for you, or if you’re planning a bit longer trip into the wild, we recommend picking up an extra battery pack just to be on the safe side. When you see how high ISO can ruin a good photo, is when you come to appreciate a good IS a system. While it might not always be an option, manually opting for slower shutter speeds, even when shooting hand-held, can save you a lot of fine details and keep the noise at low levels at the same time. The High Resolution mode was first introduced by Olympus back in 2015. with the Olympus E-M5 Mark II, dubbed High Res Shot mode. The Pen-F is the first of the PEN line of cameras to feature this unique mode. Shooting with the High Res mode provides a massive increase in image resolution as well as a significant decrease of digital noise. Olympus is not the first two introduce this type of technology which is generally known as oversampling, although it does have a different approach to it. While the native resolution of PEN-F’s sensor is at 24MP, with the High Res mode turned on you will be able to get JPEG images at 50MP and RAW images at whopping 80MP! The magic behind this lies in camera’s ability to shoot 8 consecutive shots, with each shot being slightly offset by subtle changes in the positioning of the Sensor-Shift IS system. This allows the camera to capture a lot more color detail for each pixel. These 8 images are than merged (oversampled) into one, highly detailed, ultra-high resolution image. The amount of detail present in these shots can even be compared to Canon’s 5DS which has native 50MP full-frame sensor. Although the overall image quality of the 5DS is considerably better, it is nonetheless amazing that this level of detailed can be captured using an enthusiast-oriented Micro Four Thirds cameras. And its all thanks to the High Res mode. One important thing to note when using the High-Resolution mode is that using a tripod is absolutely necessary, as any movement or vibration of the sensor during the capture of those 8 shots will undoubtedly produce unwanted artifacts, effectively ruining the final shot. In fact, this technique is so sensitive that it can only be accomplished by using the silent, electronic shutter instead of the mechanical one which produces slight vibration which each shot. The same goes for moving subject which should be avoided altogether when this mode is turned on. Basically, the PEN-F’s High Res mode is only meant for shooting from a static point and shooting completely static subjects – such as a mountain landscape photograph. While the Olympus PEN-F meets many of the important requirements to make a great video capture camera, such as the excellent image stabilization system, a good sensor, fast and silent AF, upon a closer look it becomes apparent that video was not Olympus’ primary concern. 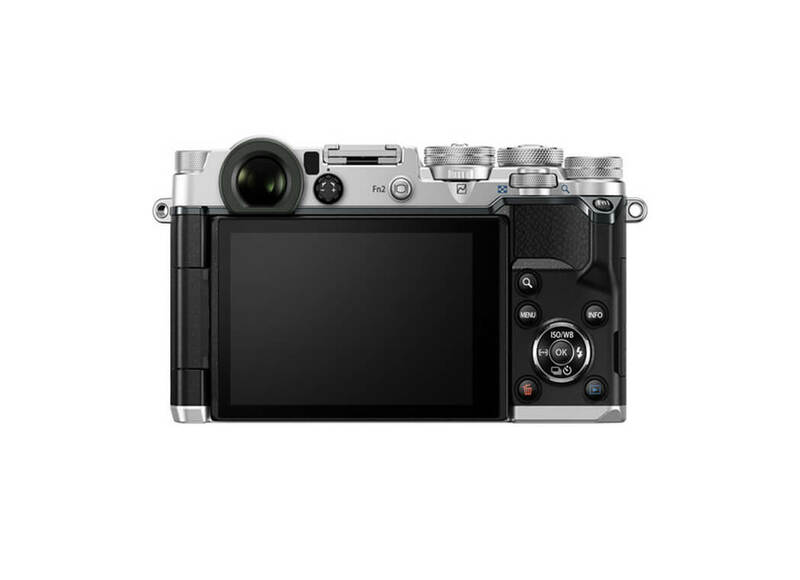 It offers similar video capabilities that of the Olympus E-M5 camera with a few exceptions. While most cameras in this range, such as the Panasonic GX85, offer 4K video, the PEN-F only offers Full HD. 1080p video can be captured at 60FPS, 30FPS and 24FPS. The lower HD 720p resolution offers the same frame rates, though we were hoping to see at least 120FPS there. As for bitrate in Full HD, there are several options; 30Mbps, 52Mbps and the maximum bitrate topping at 72Mbps, which in practice results in very solid, nice quality video. Although there is no 4K video, there is an option to record a time-lapse video with the output resolution of 4K. Technically, this is 4K at 5FPS, so more like an UHD image slideshow than real video. Both the external microphone and headphone ports as missing, with just further points out this camera is not meant for serious videography. While the AF system in the PEN-F generally performs well, it does have trouble with maintaining a lock on a moving target. Though video recording capabilities in the PEN-F are obviously lagging behind the competition, that doesn’t mean videos are going to look bad. In fact, we have found that 1080p videos to be of decent quality and more than enough for occasional or casual video capture. Let’s not forget the excellent IBIS which works just as well for videos as it does for stills. You will have very smooth, stable videos from this camera even when shooting with unsteady hands. Bottom line is if video is of primary concern to you than you should skip this camera as there are far more capable video shooters at more affordable prices out there. 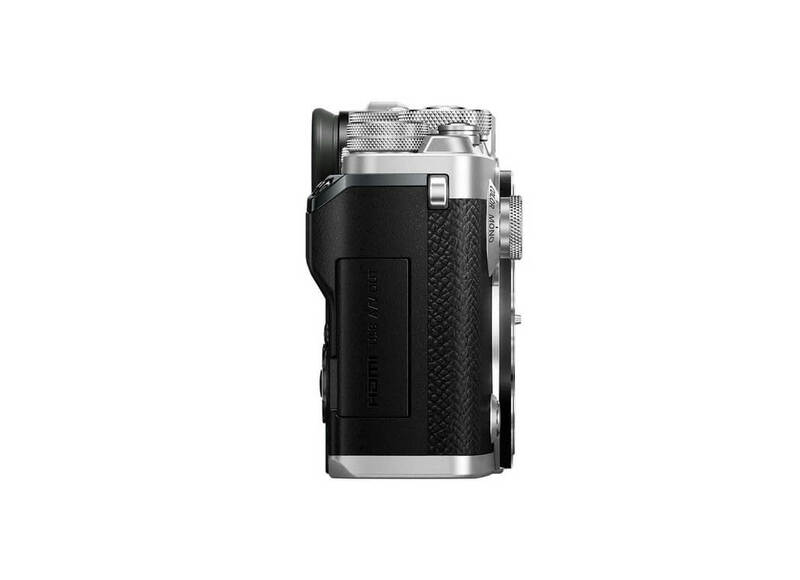 But if you only need a solid video camera for casual video capture, the Olympus PEN-F will do just fine. 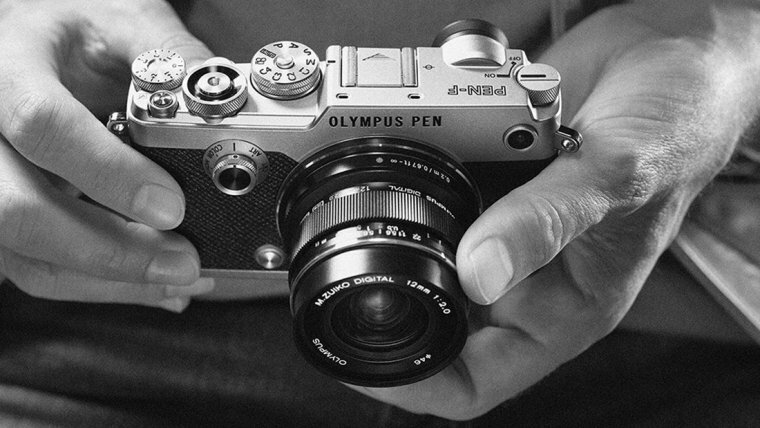 The Olympus PEN-F is by far our favorite camera from the PEN line. We are especially in love with it’s stylish, classic design and the premium quality magnesium-alloy build. It is really an excellent choice for people looking for a capable, portable camera with a cool design. It will do most justice for street, landscape and portrait photographers, but it will not be so good for action photographers or serious videographers. Even though it’s designed is jaw-dropping, its not all in the looks; The 20MP Micro Four Thirds sensor delivers excellent image quality, 5-axis IBIS ensures clear, blurless photos and stable video; A wide range of manual dials and custom buttons presents a flexible and intuitive way of making all image adjustments on-the-go. Considering it’s small size we believe the PEN-F offers very good performance, allowing for 10FPS with continuous shooting, and a relatively fast and accurate AF. 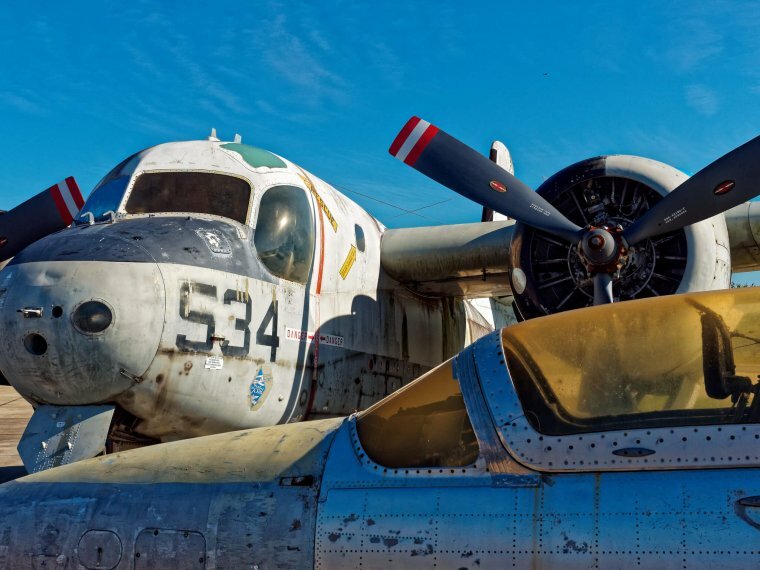 The AF does have issues with maintaining a lock on moving subjects, especially in low light conditions, but we have already made it clear that this camera is not really meant for any sort of action photography. There are only two real drawbacks to choosing the PEN-F, one is lack of 4K video which is present in competing rival cameras, and the other is the lack of any sort of weather-sealing. We are really disappointed with the latter, as Olympus already has cheaper cameras available which offer full weather-resistance. Olympus does make up for this with a relatively unique feature called High Res Mode which can produce ultra-high resolution (up to 80MP) shots, making it a great choice for landscape photography. Other than these few issues, everything else about this camera is made with the highest standards of quality in mind. The Olympus PEN-F is indeed a unique camera, in a way that it has a classic, almost nostalgic feel to it and at the same time, it’s a modern, high-end camera packed with a bunch of amazing features. If you want a camera that looks cool, delivers high-quality stills and on top of all is extremely fun to use, look no further! I'm a copywriter, web designer and a passionate photographer. I can write research papers, blog articles, product reviews, buying guides and tutorials. I make them SEO-friendly, but also engaging and interesting. 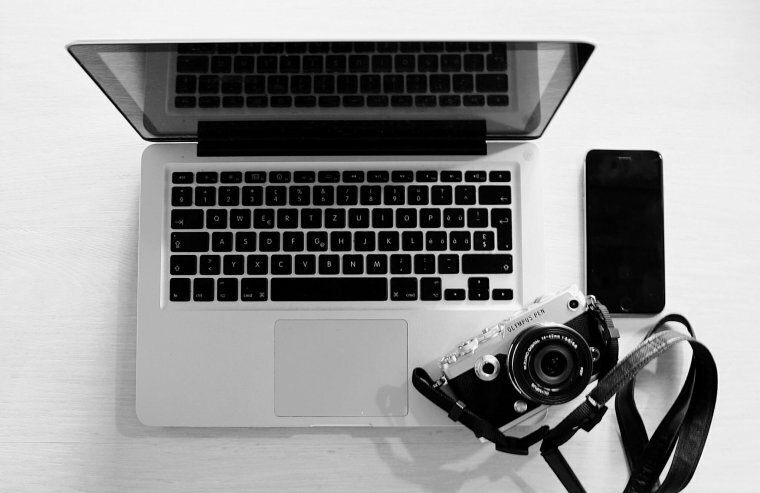 I try to make the best of both worlds; I enjoy urban lifestyle, always meeting new people and networking, pursuing new knowledge and developing skills with ambition and dedication to building a successful, long-lasting freelancing career. At the same time I travel a lot, enjoying nature and practicing meditation. Peeking is also included here with small front button. Really disagree with the battery. I do food/event/travel photos. I shooting around 600-1000pic and battery stand out. So continuosly 10am-4pm I am absolutely go with! Auto focus is super fast. Lot of DSLR phogotraphers asked me to check out my Pen-F and all of them are amazed about how fast is the AF.